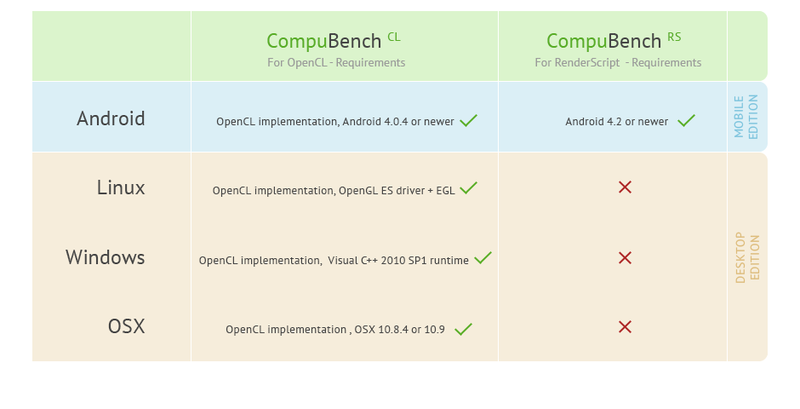 CompuBench helps industry-leading technology companies test and optimize their OpenCL or RenderScript implementations and bring stable and efficient solutions to the market. CompuBench CL and CompuBench RS are already available for licensing. The licenses include source code, updates, bug reports, performance reports and free porting to all platforms. All licenses are company-wide. For more details, send us a message at sales@kishonti.net!